“The only way to do great work is to love what you do,” as Steve Jobs once said to a graduating class at Stanford. How might we help more students around the world to find and share what they love to do? One educator in Indonesia designed a solution to this challenge. 1. Start a TED-Ed Club. This will help you develop student ideas. Innovation in education is about more than just technology. It’s about how you can empower students — they are the ones who hold the future. TED-Ed Clubs empower students to develop their ideas and share them with confidence. For example, check out these student ideas. To start a club at your school today, go here. 2. Create a digital gallery of student ideas. You can use whatever tools you like to create a digital gallery of student ideas. For example, I used Wix to create an online space for TED-Ed Club members at my school to share what they love to do and what they’re passionate about. Check it out. 3. Find a TEDx event near you and contact the organizer. Share information about TED-Ed resources, experiences and guidelines. 4. Make a list of ‘to-do’s for the event booth. Design a T-shirt for our club. Plan a special gift for visitors. Prepare logistic needs for the booth. 5. Form a team to help with the event booth. Distribute the ‘to-do’s. The TED-Ed Club at Dian Harapan School hosted our event booth. That’s me on the left. 6. Collaborate with your TEDx organizer and team. Stephanie — the TEDx Youth SPH organizer — and I maintained strong communication via emails and video calls to make sure our collaboration met our goals. 7. 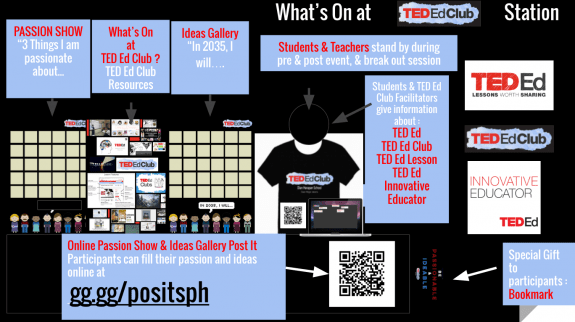 Invite your school community (TED-Ed Club members, students, teachers, parents and friends) to be part of the TEDx event. 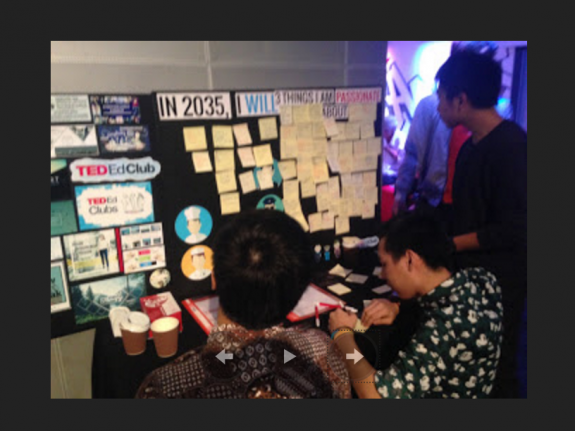 We had a great time at the event, and the TED-Ed Clubs station was a big success! You can read more about our experiences here. Engage your students. 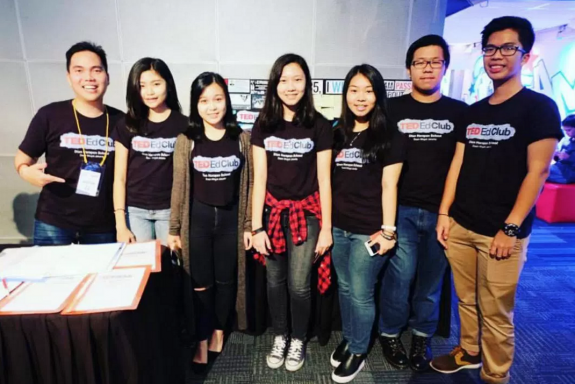 Involve your students in the process of making the digital gallery and event booth. Ask them to collaborate with you to share the spirit of TED-Ed Clubs and the power of doing what you love. Design your booth. A detailed blueprint will help you plan a digital display and banner for your event booth. Invite your friends. Let teachers, students and parents join you at the TEDx event. 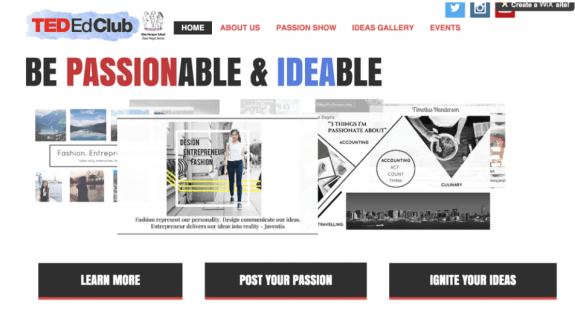 Let them know that students will be part of the event to exhibit their passions and ideas. Inspire your students. Encourage TED-Ed Club members to stay confident and share their ideas. Challenge them to interact with speakers and visitors during the event and discuss ideas. Make your booth famous during the event. Share photos of the event and tag @tededclubs. Reward and reflect. After the event, thank your students with simple thank you notes and ask them to reflect what they learned from the event and what could be improved for next time. If you have questions about how to replicate this project, please reach out to me on Twitter. This article is part of the TED-Ed Innovation Project series, which highlights 25+ TED-Ed Innovation Projects designed by educators, for educators, with the support and guidance of the TED-Ed Innovative Educator program. You are welcome to share, duplicate and modify projects under this Creative Commons license to meet the needs of students and teachers. To get started, click here. I used this station at my TEDx event and it was a wonderful addition. Lots of the attendees, which were all teens, took the time to leave their thoughts and ideas. It was great to see what they were passionate about and it allowed them to share a bit of themselves with the other people at the conference. I used this to open a workshop with a group of students at our school we call learning detectives. It worked wonderfully well. Not sure how this works. I would like a search feature in Ed Ted. 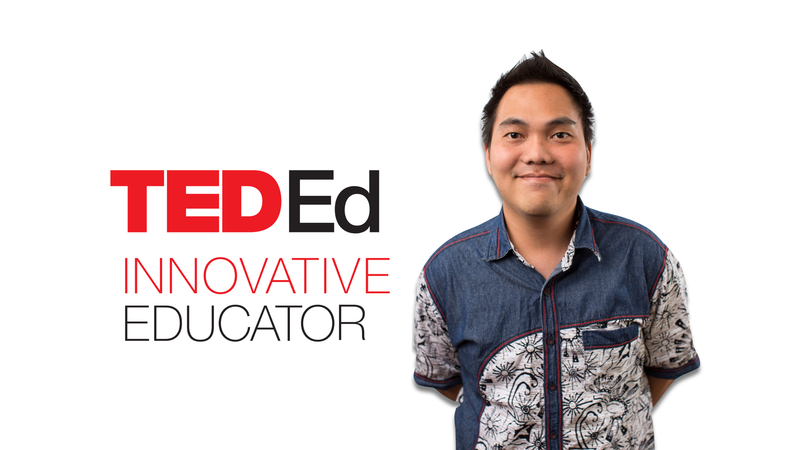 Steven Sutantro, a teacher in Indonesia, is a participant in the TED-Ed Innovative Educator program. If you plan on replicating a version of this innovative project in your community, let Steven know!